Vinventions, the global leader in Complete Wine Closure Solutions, has announced that it delivered 2.7 billion closures in 2017, a considerable growth from 2.5 billion in 2016, placing itself as the second biggest wine closure provider globally with 13% world market share. Last year’s volume growth was mainly driven by its nature-based Nomacorc Green Line and by its high-quality Vintop screwcaps, which demonstrates global markets’ readiness to embrace innovative and sustainable high-performance closures. Nomacorc PlantCorc™ was the fastest-growing closure category in 2017 in terms of absolute growth in units, adding +800 million units in sales worldwide (annualized). 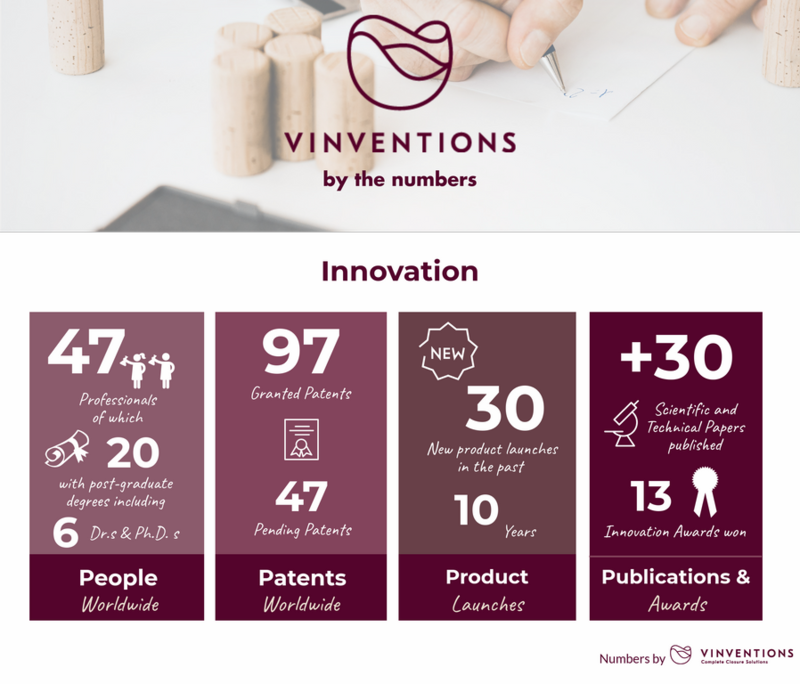 Vinventions was created in 2015 by family entrepreneur Marc Noël together with Bespoke Capital Partners, Heino Freudenberg and additional partners. Vinventions’ vision is to be the most innovative and most trusted global supplier of Complete Wine Closure Solutions to the still and sparkling wine industry. Since January 2015, Vinventions has acquired Nomacorc, Ohlinger Group and Syntek Bouchage and has created strategic partnerships with industry leaders such as Cork Supply (natural cork). This led to the creation of Vinventions’ Complete Wine Closure Solutions, which encompass Nomacorc (PlantCorcs), Syntek (synthetics), Ohlinger (natural corks), Vintop (screwcaps) and Vinolok (glass closures) as well as Wine Quality Solutions (oenological tools and services) and Wine Marketing Solutions (marketing services and wine consumer insights). Today, Vinventions employs over 550 associates globally and operates seven production sites in USA, Belgium, Germany, France, Argentina, South Africa and China. Vinventions protects every eighth bottle of wine worldwide with its closure solutions, making it the second largest wine closure supplier worldwide with strong organic sales growth in 2017. The leadership values of Vinventions are based on customer proximity, innovation, local entrepreneurship, open teamwork, sustainability and long-term responsibility. Find out more at www.vinventions.com.